Cleveland is a metropolitan area located at the mouth of the Cuyahoga River and overlooking Lake Erie. Enjoy the city nicknamed the Forest City, home to the Fountain of Eternal Life and MetroParks Zoo. We've helped many people with therapy, health and wellness in Cleveland and elsewhere in the Buckeye State. 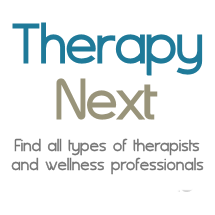 Therapists in Lakewood, Cleveland Heights, Parma, Rocky River, Seven Hills, Olmsted, Shaker Heights.